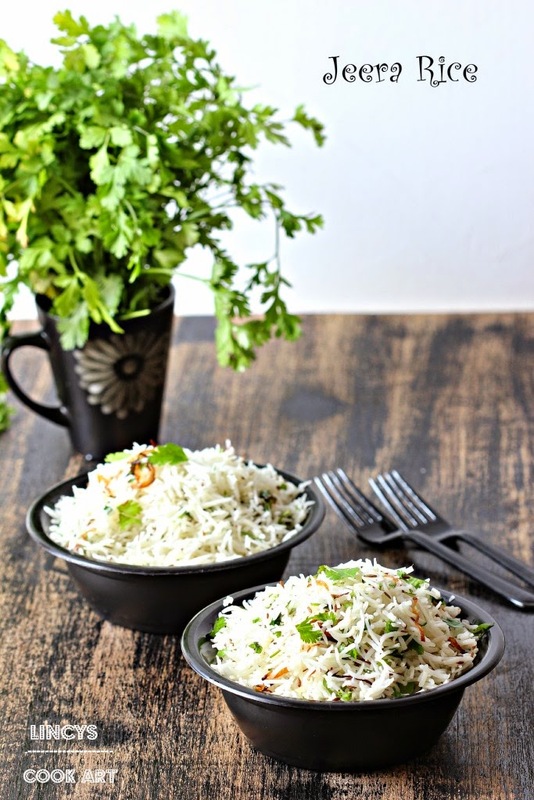 Jeera Rice is a simple to make variety rice in few minutes without any effort. Prepared with the ingredients already available in our pantry. Simple yet delicious variety rice. Goes well with any spicy curries. Easy to prepare flavourful rice without any pain in no time. Perfectly for all parties and gatherings as it is easy to prepared and goes well with almost all side dishes. It is a extremely versatile dish and less spicy so kids also like this dish. Heat oil and ghee together in a pan and add the jeera and fry them till the aroma arises. Now add the rice, pepper powder and coriander leaves. Mix well till the rice gets the heat. Add some fried onions its optional.